Happy Vesper winners. Photo: USRowing. After five days of racing, between 11 – 15 July, with more than 1,700 crews competing across U17, U19, intermediate and senior events, Vesper Boat Club won the Colgan Cup Overall Team Points Trophy on the final afternoon of the 2018 USRowing Club National Championships on the Cooper River. 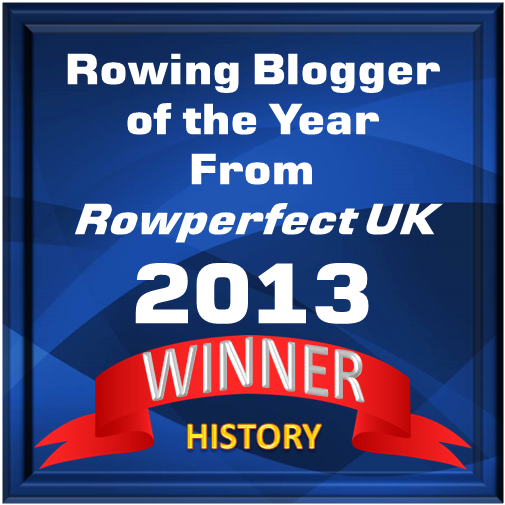 Vesper’s victory came on the heels of winning seven gold, nine silver and four bronze medals. Vesper Head Coach Peter Mansfeld said that while it didn’t look like Vesper would take the Colgan Cup at the beginning of the day, it couldn’t have ended better for the team. Vesper also won the Sulgar-Barnes Men’s Points Trophy and Marion D. Ventura Women’s Points Trophy. The points totals were almost even across men’s and women’s events, with the men taking 169 points and the women 161. Vesper’s women took home three golds, five silvers and three bronzes, while the men locked down four golds, four silvers and one bronze. Morning racing kicked off with intermediate finals, while the afternoon featured elite/senior finals. The third race of the day featured an incredible sprint from New York Athletic Club’s men’s intermediate eight to secure gold in the event with a time of 5:50.378. Vesper Boat Club claimed second place in a 5:51.727 and the U18B High Performance Composite crew crossed third in a 5:55.085. NYAC’s crew was made up of rowers ages 18 to 27 that have trained together in the eight for only a week. Three-seat Noah Teachey had personal redemption on the line as Vesper tried to take seats back over NYAC in the final 250 meters. ‘They gave us a really good race, so crossing the line I was exhausted, but I was also really happy because this is my second club nationals, and I didn’t win gold at the first one,’ Teachey said. ARION dominated the women’s elite/senior double sculls with three boats sweeping the medal positions. Ryan Springer-Miller and Julia Rigothi won gold in a 7:12.719. Ashley Johnson and Sydney Michalak finished second in a 7:17.031, while Emma Hopkins and Lauren Schall finished third in a 7:18.555. Springer-Miller and Rigothi have been rowing together for the past three summers. Rigothi said that this helps them in the boat, even when racing teammates. Multiple athletes who competed in the U17 and U19 events also rowed up a category into intermediate races. Brenna Morley and Audrey Lyda won the women’s intermediate lightweight double after doing the same in the women’s U17 double on Friday. In a Newport Sea Base Composite boat, the girls placed third in the women’s intermediate lightweight quad. The duo also took first and third in the women’s U17 single sculls earlier in the week. William Legenzowski won the men’s intermediate single sculls by open water after winning the men’s U19 double sculls and the men’s U19 quadruple sculls to finish out his junior rowing career. After winning the U19 pair on Friday, Lucy Koven and Caitlin Esse won both the intermediate and elite/senior pairs on Sunday, as well as taking a silver medal in the elite/senior four. 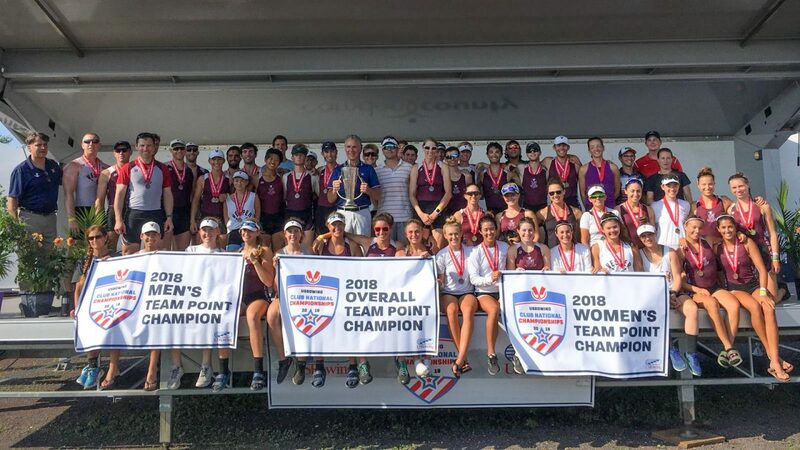 Click here for all results from the 2018 USRowing Club National Championships. Video on demand of races are available on USRowing’s YouTube channel. Marion D. Ventura Women’s Points Trophy.